I'm sure some accountant is complaining about the pennies it will cost, but I'm glad new Samsung phones will have a functional FM chip. "A walkie-talkie app called Zello is No. 1 in the App Store because of Hurricane Irma"
Definitely better than nothing, but nothing like having some real radio options. Linc Smart Walkie Talkie is also great for Amateur radio operators! Unlock the dual band (2m & 70cm) feature with your verified callsign and gain access to APRS tracking and Packet Radio capabilities. Linc can join your existing gear and help make some fun projects! Linc Smart Walkie Talkie operates on 2m & 70 cm band! And the worst thing about it... it won't work with your iPhone 7 if the rumors are true and the headphone jack is going away. I caught 4 pokemon inside the secured area of the airport. What, exactly, are you protecting us from? Apparently nothing. "Beartooth is a software defined radio peer to peer communication platform that encases your phone and doubles your battery life. Our proprietary software defined radio allows your smartphone to communicate even without cellular or wifi service. We allow for Push to Talk "PTT" voice communication, text messaging, and geolocation sharing on our offline maps." "Our product will require FCC approval. We are currently working with attorneys and technical advisors who specialize in FCC approval. Our products are designed to meet the technical and legal requirements of the FCC, and we anticipate a favorable part outcome." 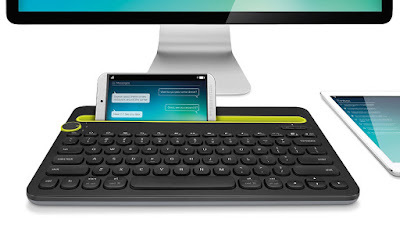 This Logitech Multi-Device Bluetooth keyboard ($37) came across my radar. You can use it with three devices - just turn the dial to switch between devices. 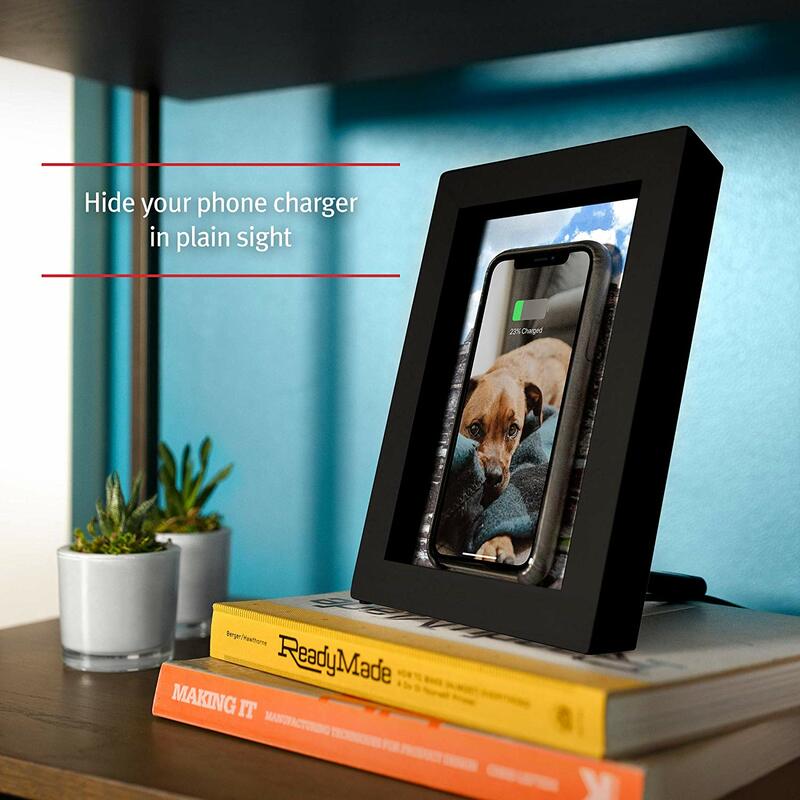 The slot for your tablet or phone has a couple of benefits - it creates a pseudo mutli-screen experience and defines a place for your phone. "Brand new. The Runbo Q5 S is the successor of the Runbo X5+. 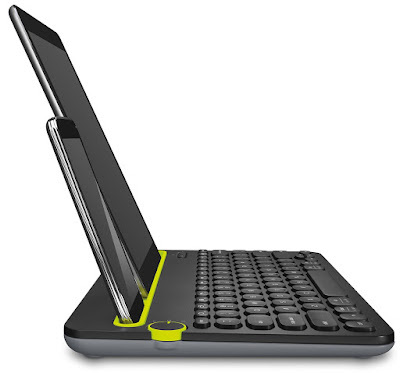 It comes with a Quad Core processor at 1.5 GHz and a better graphic processor. It has overall better performance than the X5+. As all Runbo products, it has been built with high quality materials allowing him to be the next starting line of Runbo models. 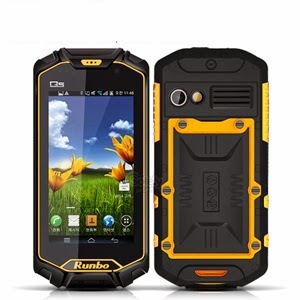 The Runbo Q5 S has a resolution of 1280×720 and support multi-touch capacity. It features a powerful Gorilla Glass which is extremely resistant again scratches and impacts. Enjoy you photos and videos as you would on other popular smartphones with the great 4.5 Inch screen. Runbo Q5 S is equipped with an RF connector so you can connect the delivered antenna to use it as a Walkie Talkie device; the actual version covers Very High Frequencies (VHF, 136-174 MHz)." * Well, I think direct communication, but the more I read, the more it looks like a BLE alternative/beacon/marketing tool. I was thinking about how my phone had replaced my alarm clock this morning. I had an alarm clock that I used for the better part of 25 years. A while back, my daughter was playing with it and broke the snooze button. It kinda stressed me out - change bad!!!! I replaced it with a similar one, but I never use the alarm functionality on it. I still like to glance at the time in the middle of the night, but I suppose I could get use to doing that on the phone, too. I can't wait until it is smart enough to filter the ticker that runs across the bottom of my screen, so I can eliminate all those MLB and NBA scores that I don't have any interest in. A Kickstarter project to help you monitor the capabilities of your charging device (wall outlet, solar panel, car charger, laptop, etc.) for your phone or other USB device. A cool web site to do side by side comparisons of various smart phones. Somebody should whip one of these up for ham radios! Verizon won't waive a $30 fee, so they lose the long term revenue stream worth much more than that. On the face of it, this makes no sense. I can only assume for every person that leaves Verizon there are more than enough people that will just pay the $30 to offset the other lose. It is tough being one of the few that want to fight against silly policies that are not logical, but may make financial sense to Gigantic Corps.